While the Air Jordan 1 has always been the sneaker industry’s most prominent icon, in recent years it has become even more widely beloved with its uptick in new color schemes and original returns. While the Retro High OG is quite obviously the most revered, its other make-ups the likes of the Mid and the Retro High featured here have enjoyed popularizations along with the OG. 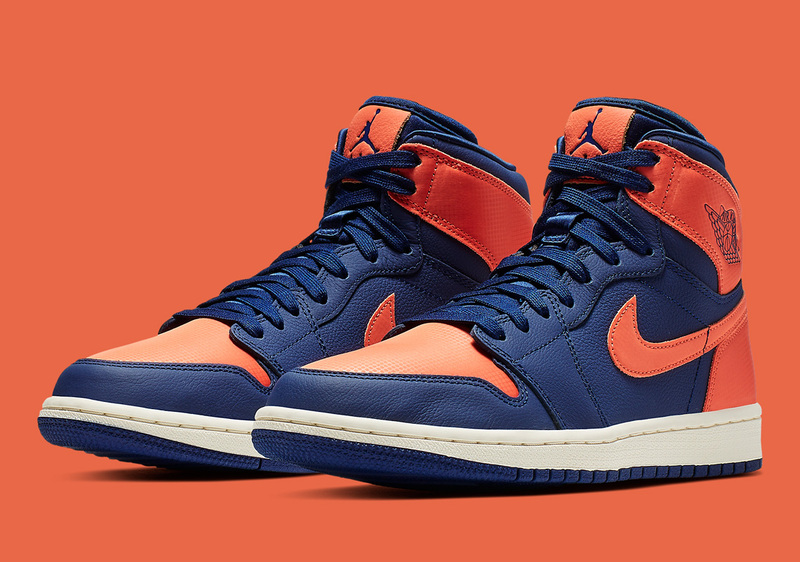 For the ladies, the Jordan 1 Retro High is set to arrive in a new Blue Void kit this Summer that mixes that hue together with a striking note of orange as well as a creamy sail midsole for contrast. For a slight premium touch, this AJ1’s underlays opt for an over-tumbled leather treatment while its orange ankle collar, heel, Swoosh, and toebox equip a very on-trend ripstop textile. Grab an official look at this brand new women’s-only drop ahead and keep it locked for updates regarding its Summer release.